Wildlife Watching – SLV GO! Wildlife abounds in the San Luis Valley. Enjoy birding, wildlife photography, wildlife observation and nature study at the following destinations in the SLV. Please remember to observe wildlife from a distance that they consider safe. Watch for bighorn sheep between the Cat Creek turnoff and the mouth of the Alamosa Canyon. Deer and elk are found in the area year-round. During the summer the Orient Mine is home to a colony of 250,000 Mexican Freetailed bats and the outflight at dusk is thrilling to view. From the Valley View Hot Springs, you can hike out to the Orient Mine. The mine operated as Colorado’s largest iron mine from the 1880s to 1932. While walking to the home of the bat colony, visitors will see foundations at the old Orient town site and mine workings. For more information, click here. A variety of waterfowl and other water birds can be seen nesting in the spring and summer at this wetland complex. There is an accessible wildlife viewing site. The wetlands may be closed at certain times of the year during sensitive nesting periods. For more information, click here. Located west of Creede, this is a 160-acre lake and wetland wildlife area. The primary use of the lake is for fishing. There are wetlands at the upper ends of each lake that provide nesting habitat for waterfowl. Moose may also be spotted in the willows. Other common wildlife sightings include beaver, deer, elk, prairie dogs, and marmots. For more information, click here. In Novembers and December, this SWA north of South Fork on Hwy. 149 is a good place to watch herds of elk. 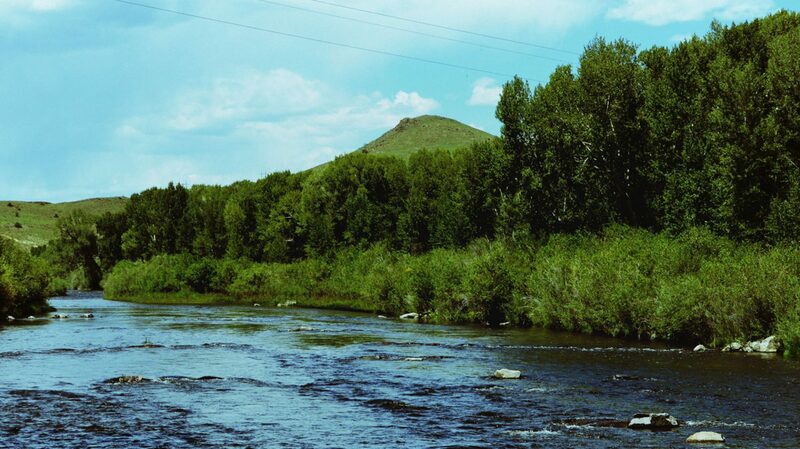 The Rio Grande flows through the property and offers more than three miles of Gold Medal quality trout fishing. For more information on birding at Coller SWA, click here. This remote state wildlife area has an enormous spring system with extensive marshy areas that make for great birding. Recreational activities at Hot Creek SWA include fishing, hunting and wildlife observation. The area is closed Dec 1 to April 30. For more information, click here. The 1,213-acre wetland complex along the Rio Grande provides essential habitat for many bird species. The SWA’s trail systems facilitate exploration and wildlife observation. At Shriver-Wright SWA a beautiful adobe viewing blind, trails and interpretive signage provides for a unique nature experience. For more information, click here. San Luis State Park is a popular place for wildlife observation and water sports in the San Luis Valley. The area has a campground, picnic facilities and wonderful wildlife trails and blinds. Elk, songbirds, coyotes, kangaroo rats and rabbits are common sights here. The area is also an excellent spot for fishing and boating, with spectacular views of Mt. Blanca and the Great Sand Dunes National Monument. Water sports activities include water-skiing, motor boating, sailing, and windsurfing. For more information, click here. A Nature Conservancy preserve, the Zapata Ranch is home to a 2,000 head bison herd. The ranch’s plentiful meadows irrigated by artesian wells, lakes, snow run-off, and a seasonal creek known as Sand Creek create a home rich in forage for our resident herd.